Blowout Sale! Free Shipping Included! 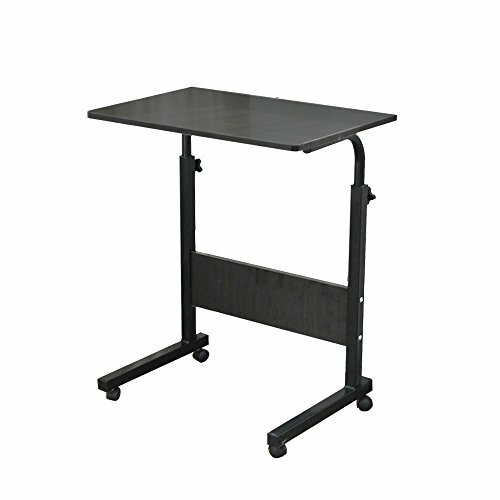 Save 51% on the Soges 31.5“ Adjustable Mobile Desk Portable Laptop Table Computer Stand Desk Cart Tray, Black 05-1-80BK by soges at Momiji Studios. MPN: 05-1-80BK. Hurry! Limited time offer. Offer valid only while supplies last. This lap table size: 31.4L * 15.7W * 27.5-34.6H inch; table weights about 17 lbs, max weight capacity for top of desk: 80 lbs. The notebook computer stand material: panel material is particle wood with high glossy finish, if there is dust/water stains, you only need gently wipe it clean; frame materials is heavy-duty powder-coated metal which ensures stability and durability. The height is adjustable, from 27.5" to 34.6" according to your needs. Wheel design, prety easy to move to anywhere as you wish.